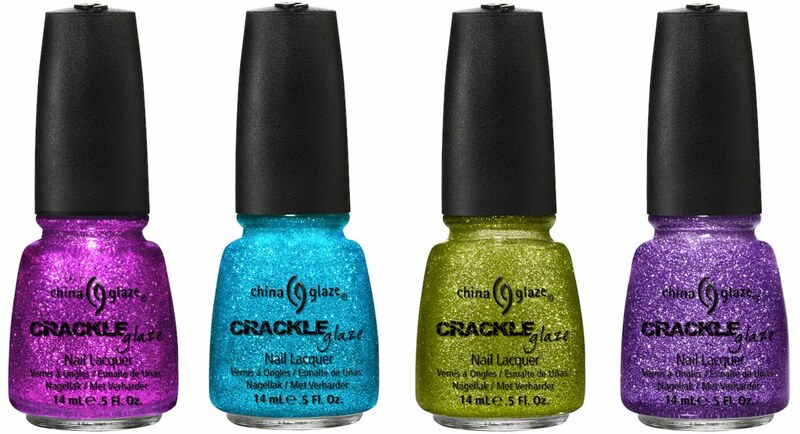 Here's a quick look at the China Glaze Crackle Glitters that will be coming out soon. 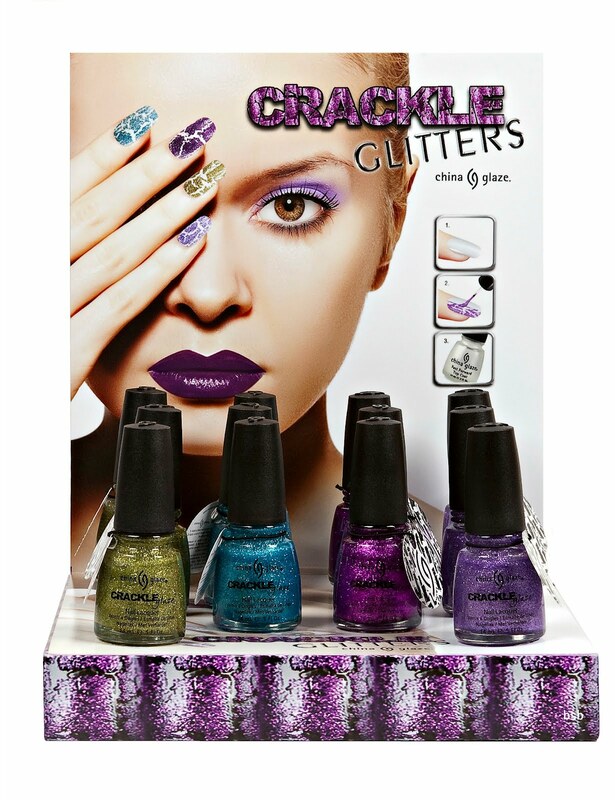 This collection contains 4 crackle glitter shades (also shown over black), which are a bit more glittery than their Crackle Metals Collection from 2011. 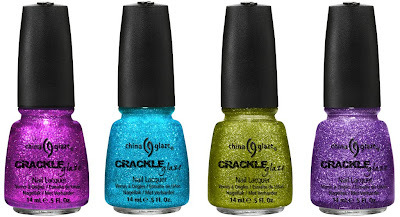 I think I'm over the crackle craze though. Are you? Love these and crackles are awesome way better than those overpriced magnetic poishes. I am sooo over the crack. Actually, I was never into it, maybe because I was a child in the 80's and wore it then. 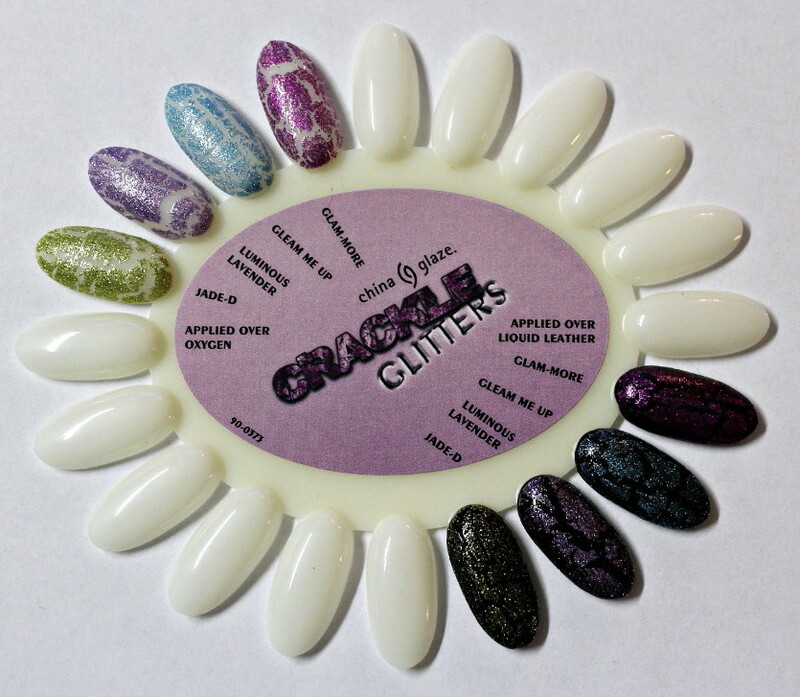 I liked the bottle shots when you first published them,and the colors are pretty,but I now have changed my mind and decide I don't need glitter and crackle in one,LOL! Eh, I don't think I'll be getting these. They're pretty, but they don't stand out to me. I can't wait until there are no more crackle polishes. This is just too much! My Sallys has all their crackles on sale for .99 cents and they still can't get rid of them! Maybe I might buy one after I see some swatches of them. I'm not in a hurry to buy another one. I don't even wear them. I'm glad I didn't buy everyone I saw.